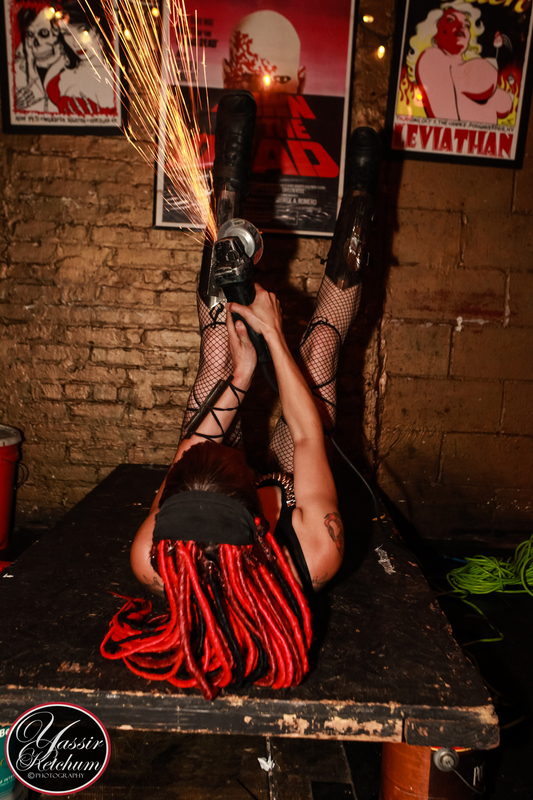 Sasha the Fire Gypsy performs a unique act that combines power tools and performance! 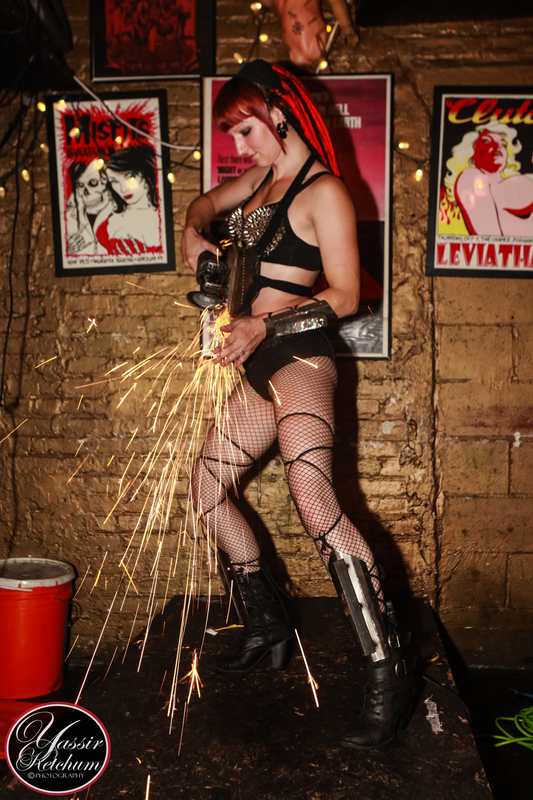 As a metal fabricator by trade, Sasha had used an angle grinder daily for over a decade. 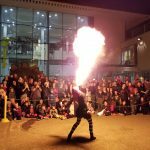 Why not use it for something a bit more....interesting? 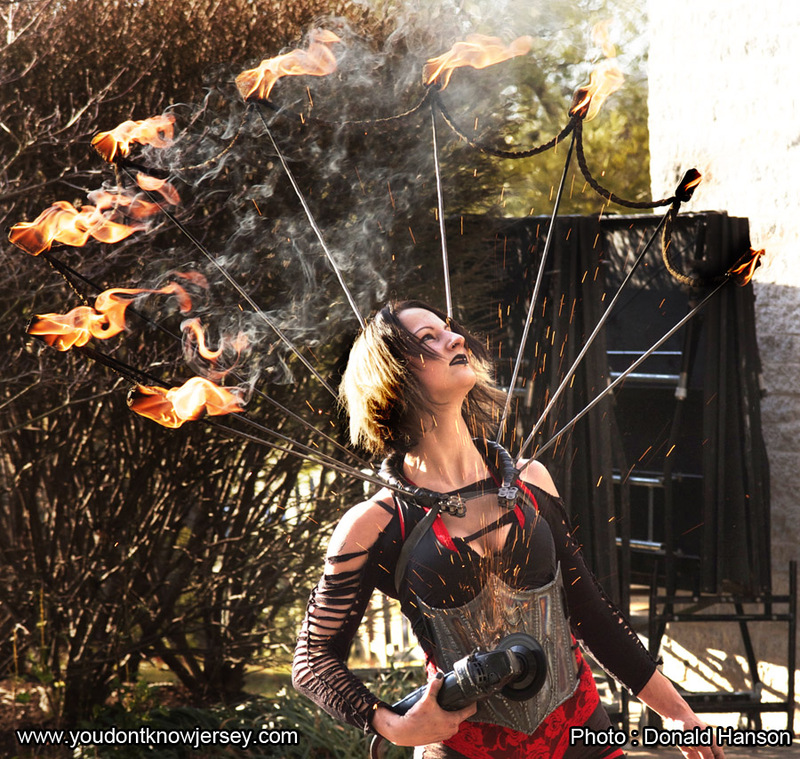 Sasha custom fabricated her own steel underbust corset, steel arm bracers, and steel leg grieves. 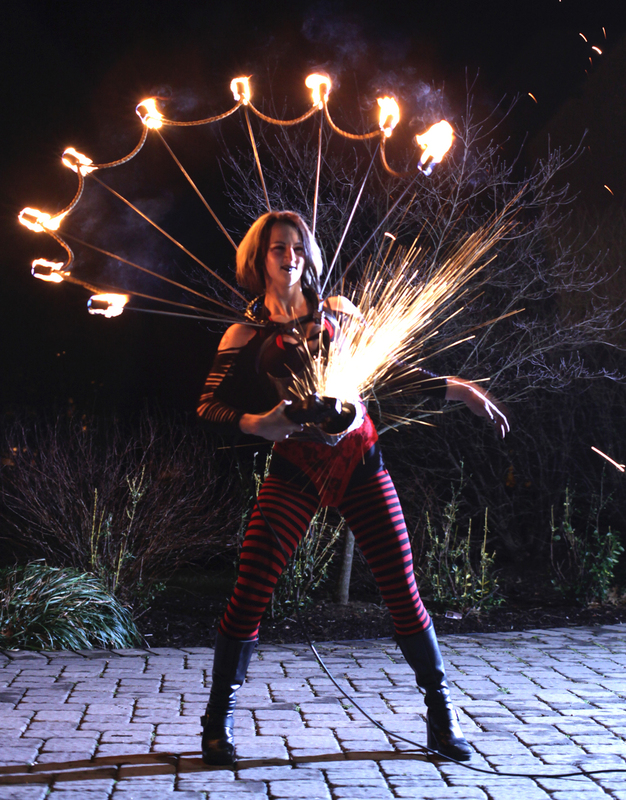 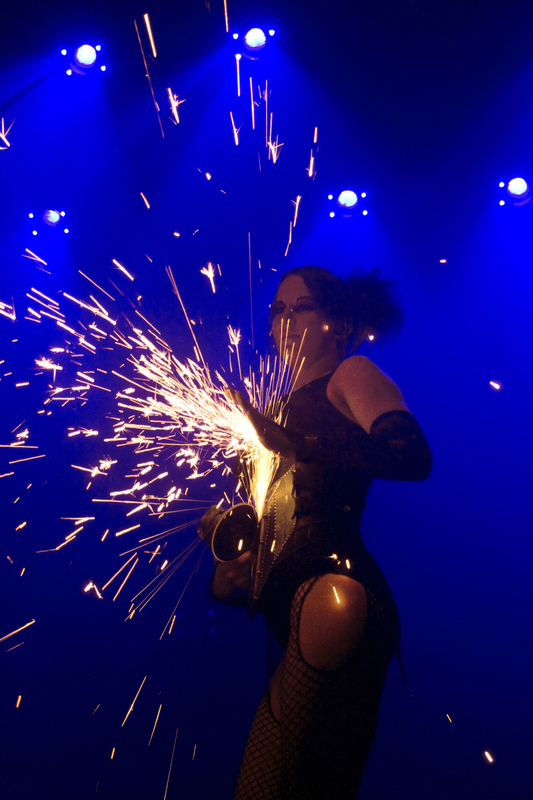 Spinning at 5000 RPM's, the grinding wheel on her angle grinder comes into contact with the different metal pieces, removing metal from those pieces which creates shooting sparks for a dangerously dazzling show! 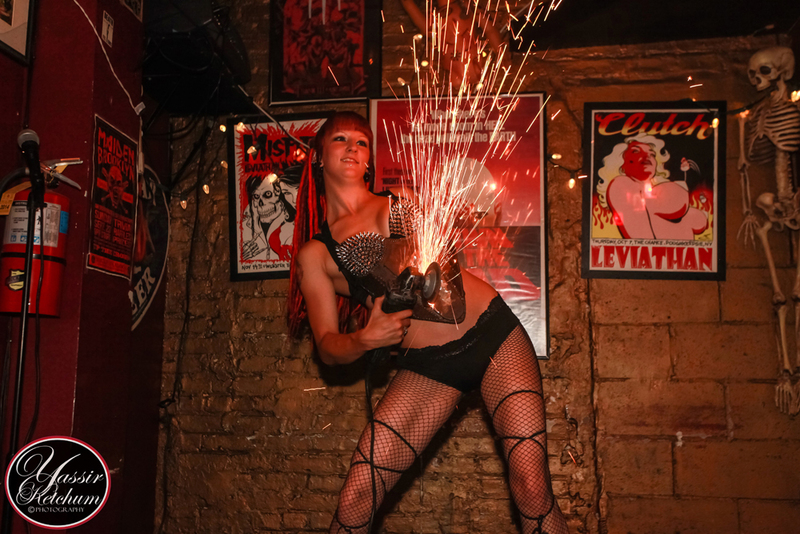 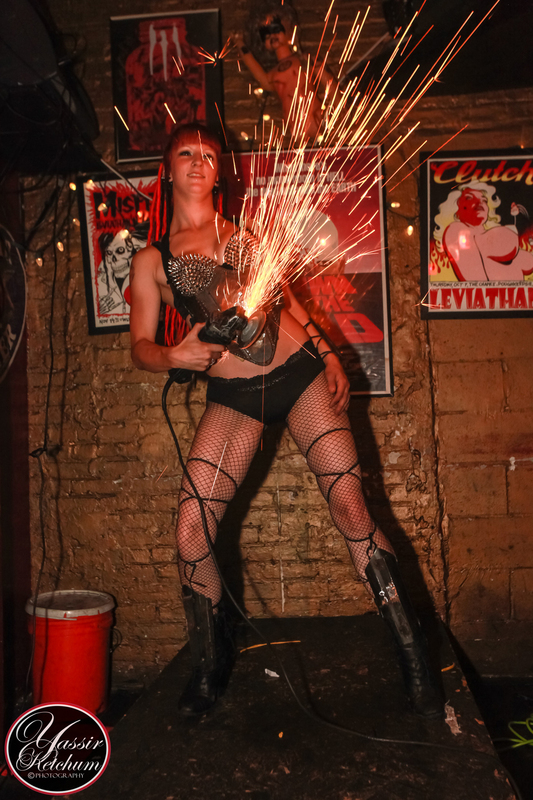 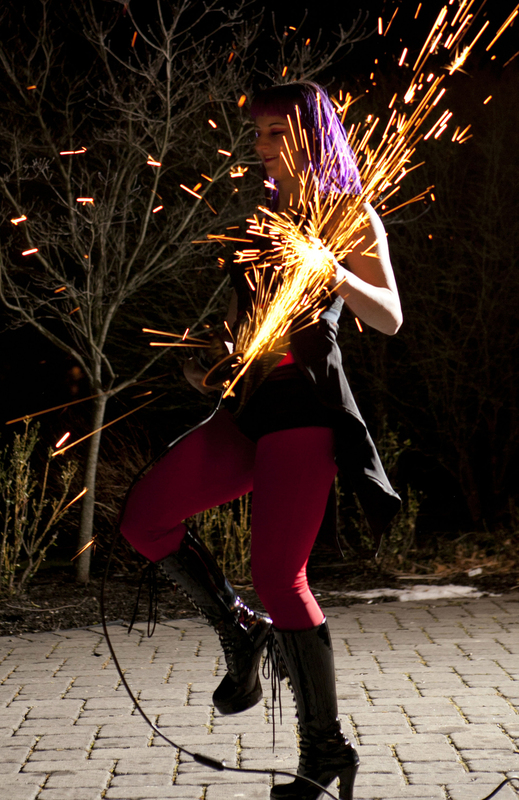 The Angle Grinder Girl show is a perfect act for nightclubs, bars, music videos, metal shows, and much more! 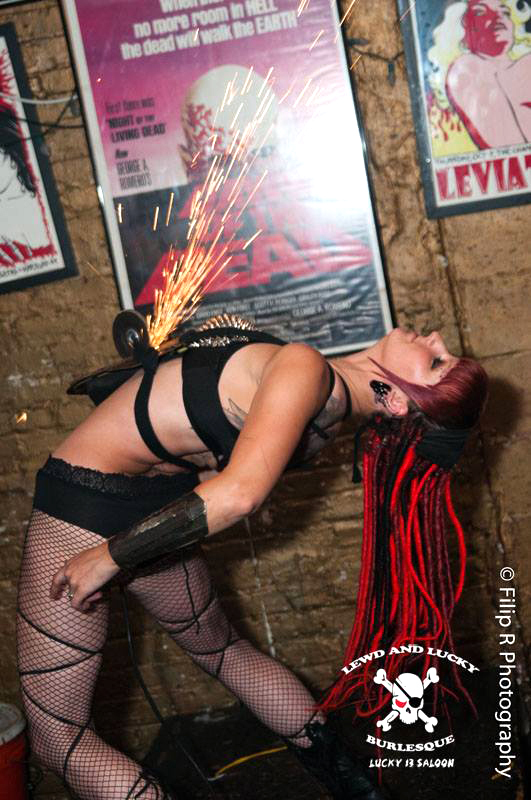 It is also a perfect addition to her fire show, or sideshow.